Some restrictions apply. Expires Apr 30, 2019. 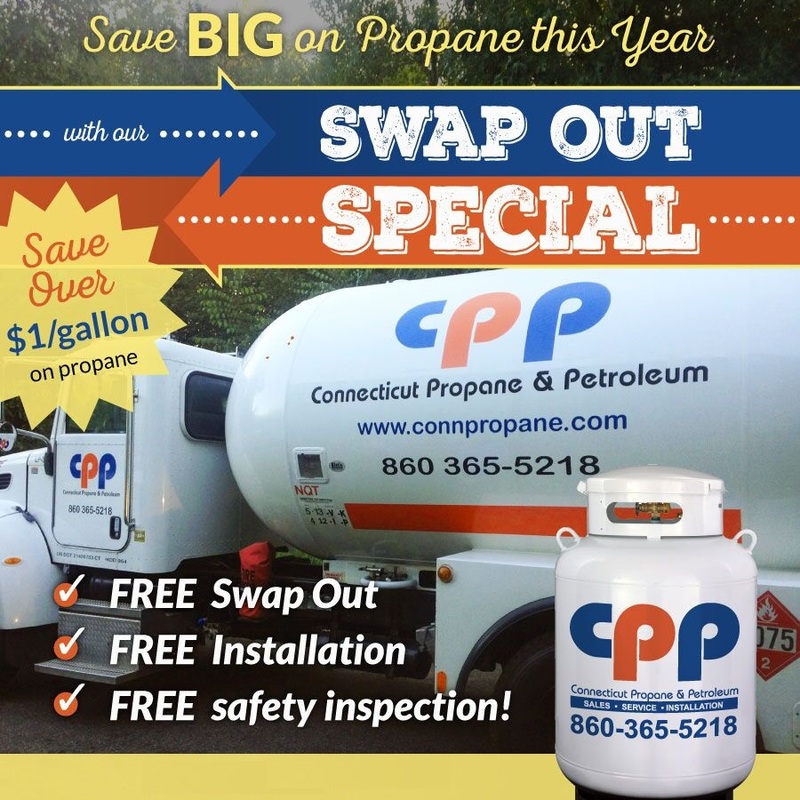 Connecticut Propane's 2019 Swap Out Special! Winter is coming to an end here in Connecticut. That means the weather will be changing, and you'll be needing to fill up that propane tank of yours! Take advantage of Connecticut Propane's SWAP OUT SPECIAL and we'll do all the work for you. It's as easy as giving us a call at 860-365-5218 and mentioning this ad. We will come straight to your home, remove your old tank, replace it with a new one, do a free safety inspection, and fill up your tank for only $1.999/gallon. This reduced price will save you over $1/gallon and the hassle of doing it yourself! At Connecticut Propane, we take on-time delivery very seriously. We make over 500,000 propane deliveries every year that keep thousands of CT homeowners warm and keep their appliances (i.e: stoves & fireplaces) running. From our customer service representatives to our dispatchers and drivers, we track each propane delivery for timeliness to ensure each and every one of our customers is satisfied. You can be sure that if you need us, we'll be there for you!